Many of Shoelace's legacy customers aren't using their own ad account, if you've signed up recently (after January 2018) this won't affect you, you're already using your own ad account! Using your own ad account has a lot of benefits, so we're glad you're looking to switch to your own! If everything is set to the right parameters, it's easy to switch to your own ad account! You simply go into your Shoelace App --> Settings --> Connect to ad account --> Select your account --> Confirm/connect. Step 1: If you don't already have one, create a Business Manager account. This is like a Facebook umbrella account that lets you manage multiple ad accounts and Facebook pages. It is required in order to migrate Shoelace over to your own ad account. Here is the link: https://business.facebook.com/. 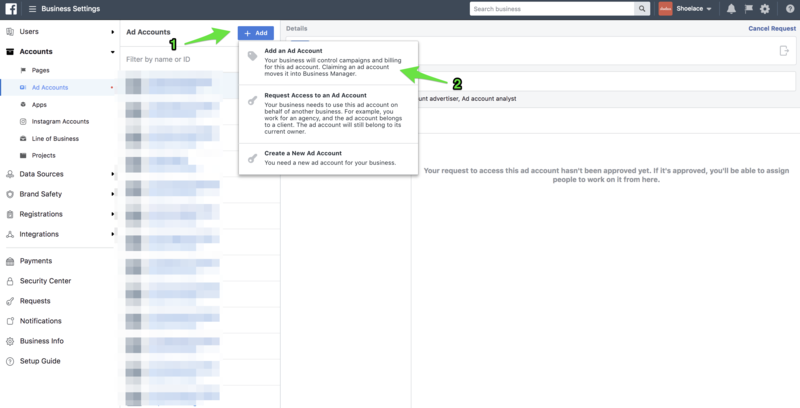 Step 2: Now you will need to find out what your "ad account ID" is from your existing ad account. If you open your Ads Manager and look at the URL, you will see something that says "act=XXXXXXXXXXXX"
You'll need to copy the numbers (only the numbers) that you see in that URL. You'll need it in Step 4. 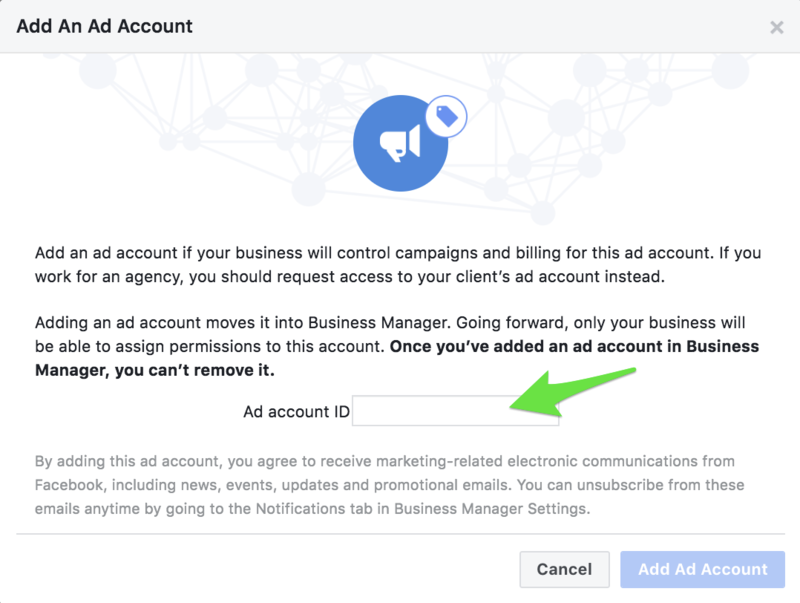 Step 3: If you go to your Business Manager using this link: https://business.facebook.com/settings/ad-accounts, you will see a blue button that says "+ Add", click that. Then click "Add an Add Account". If you have any issues with this, please let us know! The next step is to go back onto the settings page in your Shoelace app, and click on the button that reads "Connect to ad account". Once you hit the button, you should see a list of ad accounts. Select the ad account that you want Shoelace to work with and now you're connected! Please let us know once you have completed the connection so we can remake your campaigns or send you your first one!